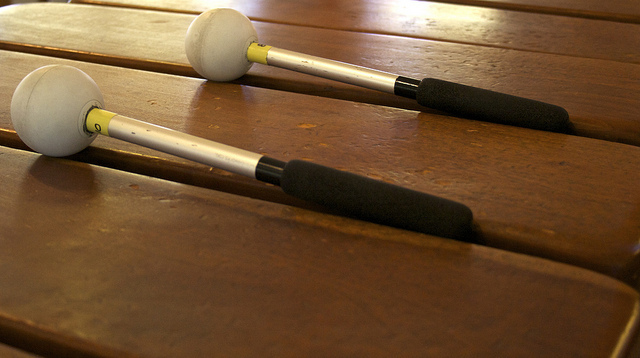 The following groups are for students who are already studying marimba at Kutandara. If you are unsure which class is right for your child, please contact us! In our level 2 Zebra and Hippo classes, we are finding the main note chords (C major) and passing chords (D minor) on all the marimbas. We are learning about other chords on the marimba, too! We are learning about the relationship between basic patterns and harmony patterns in Zimbabwean-style marimba music, and are figuring out how to find one if we know the other. We are learning to play syncopated chords and basic running lines while stepping to the beat comfortably, and learning how to fit parts together that do not start on the same beat. Sometimes we even get to play the hosho! In our level 3 class, we are working on easily finding the G chord, C chord, and D chord on any marimba, and understanding the F#. Did you know that the F# is the difference between a D major and a D minor chord? We do! We are also learning shangara sticking patterns and learning to play them in sync with group. We are getting better at fluidity on the higher instruments and strength and precision on the lower instruments. We are learning to play the hosho, and trying to move our bodies while we play and step to the beat. We are learning about syncopation, and how to play parts together that have different kinds of syncopation. We are becoming a team, and we are actively trying to play well together by listening to each other. It’s called “groove.” Did you know that? We are also learning how to remember more complex arrangements, and how to make up our own variations in the style with guidance from our teachers. Cool, huh? In the Mukanya class, we are working on level 4 skills. We are learning about the kushaura/kutsinhira relationship, how to play basic and shangara running lines and fast chords consistently with proper technique, and how to move our hands far apart on the keyboard with ease and confidence. We also are working on playing running lines in groups of triplets while stepping to the beat, understanding and executing more complex interlocking rhythms in both dance songs and mbira-style songs while stepping to the beat, and learning to play hosho and bell patterns while dancing to the beat! In our group we are learning how to play to others consistently in all our parts. We are learning to play the role of “lead” on the soprano and develop parts and variations appropriately for the style. We also are working on looking around the room while we play our parts, and showing each other and our audiences how much we enjoy the marimba! 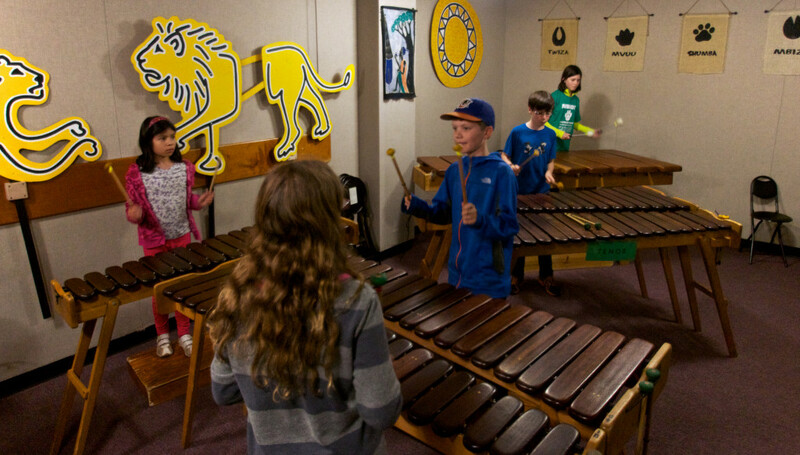 We love marimba!